If you are a resident looking to take the next step in your career, a urology fellowship at Hackensack University Medical Center will provide you with world-class training, significant research opportunities and diverse clinical experiences that can only be offered by a high-volume department at a renowned research hospital. With a special focus on minimally invasive and robot-assisted surgical procedures, we train our fellows on the latest surgical techniques using state-of-the-art da Vinci® systems and transvaginal surgical approaches. The comprehensive, hands-on curriculum will prepare fellows to pursue successful careers in academics, research or community practice. 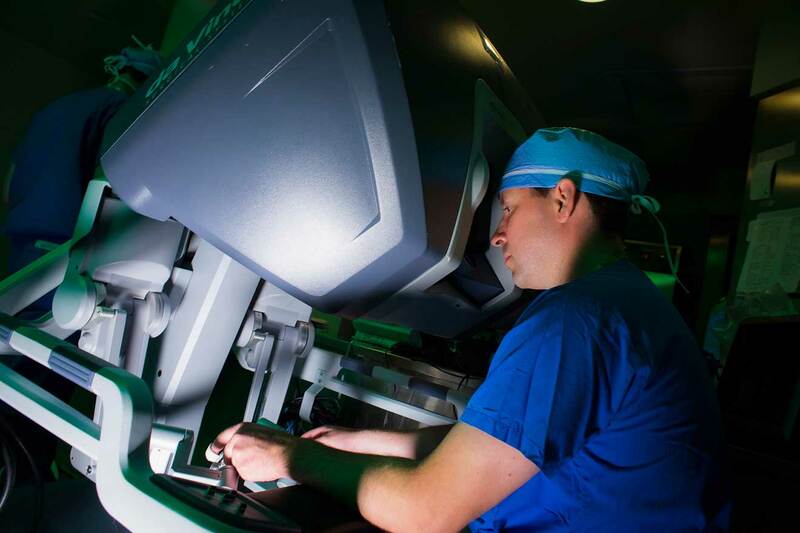 Hackensack University Medical Center offers a one-year Advanced Clinical Training Fellowship in Robotic Surgery and Laparoscopy, a two-year Endourology Fellowship, and a one-year fellowship in Female Pelvic Medicine and Reconstructive Surgery. Our two-year fellowship is accredited by the Endourological Society and offers specialized, comprehensive training in minimally invasive urology. The goal of this fellowship is to provide trainees with a balance between clinical and research activities. Fellows incorporate endourology, laparoscopy and robotic surgery into their armamentarium of surgical skills through a training program that emphasizes hands-on involvement in clinical cases. Time is equally distributed between clinical work and research activities during both years. Fellows participate in all aspects of clinical care, including evaluation and diagnosis, surgery, and postoperative care. Fellows are involved in resident and medical student teaching, grand rounds, and visiting professor conferences. 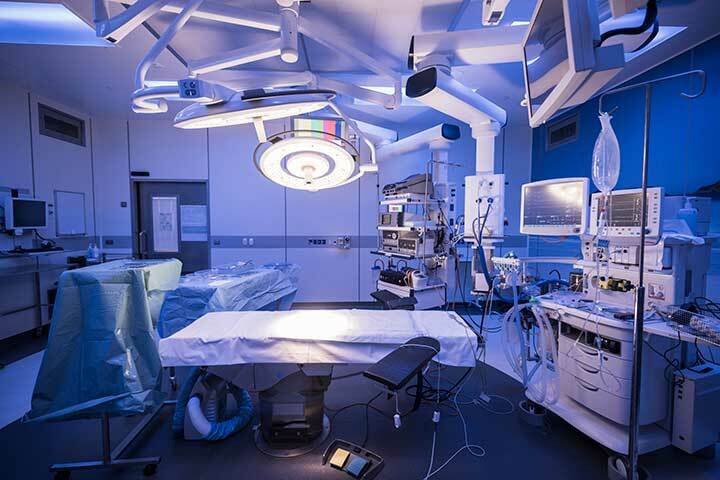 Hackensack University Medical Center’s operating rooms are equipped with the latest technology, including high-definition imaging equipment, audio and video recording applications, and the most up-to-date communication systems. All Hackensack University Medical Center fellows spend a portion of their time performing clinical and laboratory research that is primarily focused on developing new laparoscopic and robotic surgical techniques and evaluating the latest technologies. HackensackUMC fellows also participate in outcomes research using validated mechanisms and evidence-based medicine. Hackensack University Medical Center’s fellows have full access to the David and Alice Jurist Institute for Research, a five-story, 55,000-square-foot building dedicated to ongoing research activities. Our research center unites scientists and physician investigators that are engaged in a range of national and international multicenter trials. The research center features state-of-the-art facilities that allow for animate and inanimate training and translational animal research studies. Our fellows have the opportunity to partner with researchers at regional institutions including New Jersey Medical School in Newark, New Jersey; Rutgers University–Newark Campus; and Stevens Institute of Technology in Hoboken, New Jersey. Fellows will also present the results of their work at national and international meetings. To learn more about the endourology fellowships at HackensackUMC, contact Program Director Ravi Munver, M.D., or Co-Director Michael Esposito, M.D., at CALL 551-996-8090.